Michael Soluri has been photographing the people and places of space exploration for more than fifteen years. With the support of Discover magazine, NASA, and the astronaut crew, he was able to gain unfettered access to the multiple worlds of the historic, one-of-a-kind shuttle mission and tools that saved the Hubble Space Telescope. His friendship with the crew grew out of a chance meeting with Mike Massimino, one of the seven astronauts selected for the last-ever servicing mission to the Hubble. Intrigued by the possibilities, Soluri asked Massimino: "What is the quality of light really like in space?" While astronauts take photos in space all the time, Soluri was asked to coach this crew into making photographs that better communicate their experiences in space the way an artist does: as expressions of human curiosity and ambition, and the infinite worlds to which humankind aspires in exploring the universe. "Infinite Worlds" is an exclusive and unscripted photographic documentary inside the world of three NASA flight centers in Maryland, Texas, and Florida. With the closing of the shuttle program, this is the first and last book of its kind. Designed with more than 400 gorgeous full-color and black & white photographs, it is woven with essays written by eighteen individuals from the human and robotic spaceflight labor force that participated in STS 125/SM4. 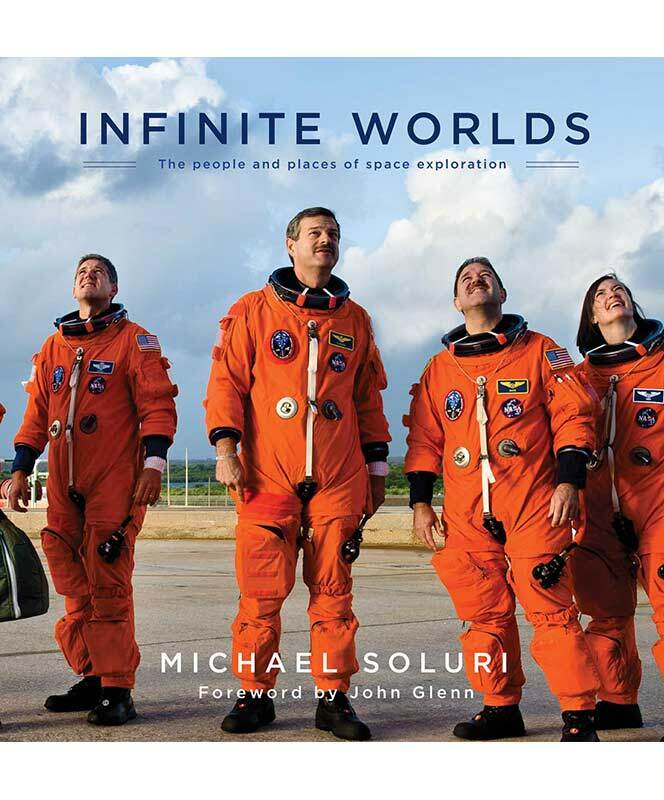 "Infinite Worlds" will appeal not only to the space history buff and photography connoisseur, but also to the armchair astronomer, and families wanting an insightful and beautiful keepsake of the space shuttle and Hubble Space Telescope era.